Our knowledge is so fragile and vulnerable it borders on being pathetic. Things come along that rock our world and we are shaken to the core. Something or someone with extreme impact can leave us in utter disbelief. It was once believed that all swans were white as we had no evidence to say otherwise. Ask anyone what colour a swan is and its a safe bet they will imagine a white one and say “white” with conviction and authority. Swans’ whiteness was integral to their ‘swanness’. Yes, that’s all very well until someone points out that there are black swans as well. In 1697, Willem de Vlamingh, a Dutch explorer discovered black swans in Australia. This came as a huge surprise, and resulted in profound changes in the scientific history of ecology and zoology. When something comes along that isn’t what its supposed to be then we can find it hard to take in. We’ve known for a while now that black swans exist but most of us are happy to see in our mind’s eye the white swan and default to that. We don’t like anything disturbing our status quo. We even tend to act as if it does not exist! Events or things that are hard to predict are Black Swans and they can be positive or negative. 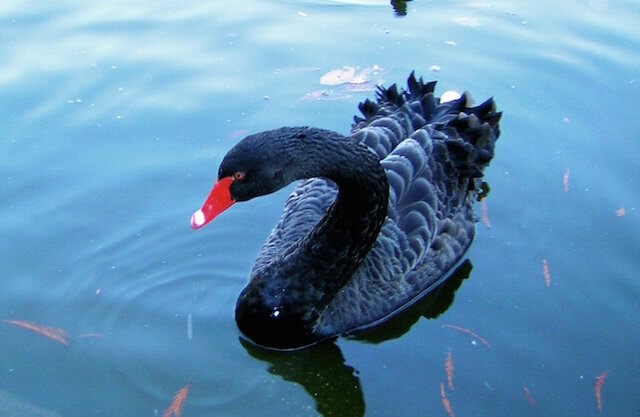 The idea of a Black Swan event was pioneered by Nassim Nicholas Taleb after the results of the 2008 financial crisis. Black Swans are events that, in hindsight, we all want to say we saw coming, but no one actually predicted them ahead of time. Taleb argues that Black Swan events are impossible to predict therefore it is important for people to always assume a Black Swan event is a possibility. He argues that failure to recognise and anticipate Black Swans is based on Ignorance Based Thinking which in other words means that most people are happy thinking about things they know. We don’t know what we don’t know, and that is dangerous. The unexpected is something we need to train our minds for but that’s not easy when many of us inhabit a relatively safe and highly predictable world. Life is unusual but we spend a lot of our time making it usual so that when a Black Swan does come along we “just can’t believe it”. (a) We focus on pre-selected segments of the seen and generalize from it to the unseen: the error of confirmation. (b) We fool ourselves with stories that cater to our Platonic thirst for distinct patterns: the narrative fallacy. (c) We behave as if the Black Swan does not exist; human nature is not programmed for Black Swans. (d) What we see is not necessarily all that is there. History hides Black Swans from us [if they didn’t happen] and gives a mistaken idea about the odds of these events: this is the distortion of silent evidence. (e) We “tunnel”: that is, we focus on a few well-defined sources of uncertainty, on too specific a list of Black Swans (at the expense of others that do not come so readily to mind). There have been plenty of Black Swans in education that have left us speechless – massive open online courses (MOOCs) are a good example. Your school has probably got some examples of Black Swans or surprise events/ideas/people that have made impact – let me know what they are.